Lecture: Dr. DeAnna Beachley — "Mercantilism and the Navigation System"
The below lesson plan (also available for download in PDF) introduces students to activities common in daily life during colonial times. Prepared by Christy G. Keeler, Ph.D. Lesson Overview: Students will simulate daily activities common during the colonial America era. Through the process, they will learn the history of daily life in the colonies and will gain comparative perspective between lives of the colonists and their own lives. Teachers may deliver subsections of this lesson in a rotating learning center format or as whole class simulations. • Students will identify common chores and other daily activities during the American colonial era. • Students will differentiate between daily activities today and those of the colonial era. Reading Prompt: Read the book Sarah Morton’s Day: A Day in the Life of a Pilgrim Girl by Kate Waters aloud to the class. After the story, work as a class to complete a Venn diagram comparing and contrasting “Daily Life” of colonial children and children today. Next, have students postulate reasons for the differences (e.g., technological change, trade partnerships, cultural differences). Explain that students will have the opportunity to experience several colonial American activities. As they experience the activities, they should ponder how their lives would have been different if they had been born in the 1600s as opposed to the 21st century. Teachers may organize these activities in a variety of ways and may choose to use one, some, or all of the activities. One method is to designate one location for each activity and have students rotate, in groups of approximately three to four students, between activity centers. This would work well on a day designated as “Colonial American Day.” For younger children, parent volunteers may chaperone each learning center to assist and guarantee student safety. Teachers may choose to require students keep a travel log for each activity they complete. To “pass” the activity, each child would need to provide a 3-sentence description of the activity experienced in the center. Another model may involve having students work as an entire class completing a single activity. Teachers could organize their colonial American unit to include a different activity each day. 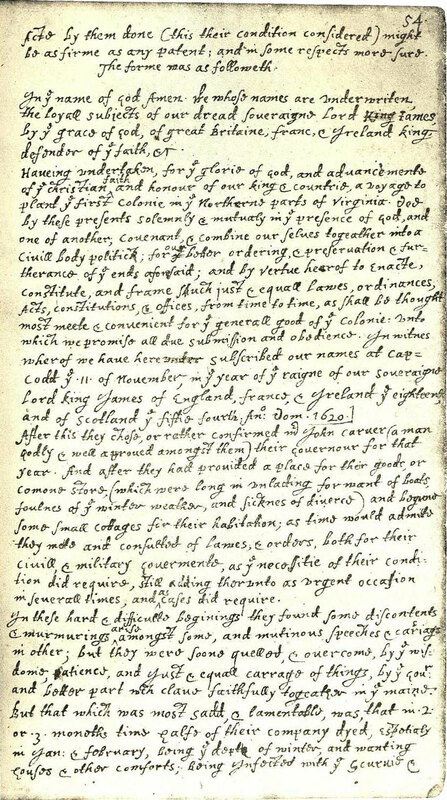 Students could keep daily journals about their travels through colonial America, describing their impressions each day of the journey. This method of candle making allows students to create one candle at a time. During colonial times, many candles were made at once. Procedures: Cover the table with newspaper so any dripped wax can be easily disposed. Fill four metal cans will cold water and four with melted wax. Have students cut off an approximately one-foot length of string and tie one end of the string to the center of the pencil so that the length of string hanging down is about the height of the can. First, they will dip the tips of their fingers in the wax and run their fingers along the string. This will give the string some weight and shape. Next, they will dip their string into the wax. After waiting a few seconds, they will remove the string by lifting the pencil and will dip the string into the cold water. This will cool and harden the wax. Students will then alternately dip the growing candle in the wax and water until it is as thick as the student prefers. Rural colonists tended to make their own butter, but those in towns had less land for cattle so sometimes purchases butter from household microbusinesses. Most butter was produced using a butter churn. It took about three hours to produce one pound of butter. Procedures: Fill the jar half-way with cream and tightly attach the lid. Shake the jar until the whey (liquid) and curd (solid) separate. Pour the whey into a cup. Students may drink this liquid—it’s buttermilk. Pour the curd into a strainer and let it drain until all liquid is gone. Rinse the curd and place it in a bowl. Stir in salt to taste. Students may scoop a small piece of butter onto their popsicle sticks to taste their creation. Shrewsbury cakes first appeared in cookbooks during the 16th century. By American standards, the “cake” would be considered a cookie and is similar to shortbread with the added ingredient of an egg. Procedures: Preheat the oven to 350° and grease the bar pan. Mix all ingredients until batter becomes smooth and place the batter into the pan. Bake cookies ten minutes or until they appear brown. Cut the cake into squares before it hardens in the pan. Native Americans originally made cornhusk dolls and taught colonial Americans the craft. The dolls usually appeared in the fall after husking time. Procedures: Have students follow instructions for making a cornhusk doll found at http://www.teachersfirst.com/summer/cornhusk.htm. You may substitute rubber bands for the string. Colonial Williamsburg offers a rich collection of resources for teachers and learners. Students will simulate clothes washing in this exercise using a method still common around the world today. Procedures: Have students place “dirty” rags into a large tub of water. Using soap and the washing board, have them scrub the rags and then place them into a tub of rinsing water. After rinsing, have students wring the rags with the wringing wheel (if available) and hang them to dry. The next group of students can take the “clean” rags and re-wash them. During colonial times, pockets were not sewn into clothes. Instead, they were worn as a separate piece of clothing inside other clothing layers. The pocket included a ribbon that could be tied around the waist to hold it into place. Procedures: Have each student take two pieces of felt and a pair of scissors. They will cut both pieces together so the pieces are in a pocket shape (rounded corners and a smaller top than bottom—see diagram). Next, they will fold one of the pieces of felt in half “hamburger style” and cut a slit that will become the pocket opening. Students will cut one long piece of thread and thread it into a needle. Finally, they will sew both pieces of the felt together, leaving no openings except the slit in the center of the front pocket. If desired, students may cut a waist-length piece of ribbon and sew it onto their pockets so they can wear them around their waists. Until the invention of the steel nib in the 19th century, quills were the primary tools used for writing in the American colonies. The best quills were commonly made from goose, swan, or turkey feathers taken from the primary flight feathers of living birds. Feathers from the left wing were favored for right-handed writers. Teacher Resource: For more information about quill pens and ink, review the “Educational Focus” on Colleen Wilson’s lesson on “Signing George Washington’s Birthday Card” available at http://www.sar.org/history/KeyHoles/ColleenOWilson_SonsOfTheAmericanRevolutionActivityIdeas.pdf. Note: Before students participate in this lesson, prepare the pens by dipping them in hot water to soften the tip. Cut the tip at a slant and add a slit to the middle. Cover the workspace with newspaper so the ink does not stain the table. Procedures: Students will dip their quills into the ink, shake off excess ink, and practice writing their names on the provided paper. Encourage them to write lightly (this provides a nicer end product and contributes to the life of the feather). Students must keep their papers on newspaper to limit the mess and they should clean their hands with hand wipes following the activity. “Colonial children didn't have much free time, but when they did, there were lots of ways to have fun. They played such games as tag, marbles, hopscotch, leapfrog, hide-and-seek, blindman's buff, hoop races, and quoits.” (Education World—http://www.education-world.com/a_lesson/lesson166.shtml). Games teach about the colonial era while engaging kinesthetic learners and providing nice segues for transition times (e.g., just before lunch, end of the school day). Have students read the book Samuel Eaton’s Day: A Day in the Life of a Pilgrim Boy by Kate Water and list all the ways their lives are similar to and different from Samuel’s life. They will then create two stories they will display side-by-side in a foldable. Both stories will tell about the child author’s own life. In the story on the right, the child will write a non-fiction story about his/her own life—telling about only one day. On the left, the child will re-write his/her own daily story as if s/he were born in the 1600s. To design a Colonial American Day program, I recommend offering six stations with one or more adult volunteers manning each station. Each station would have a different theme and each activity at that station should take 15-20 minutes to complete. Teachers at Hayes Elementary School in Las Vegas, Nevada, led by Shauna Harris, designed a program to match this description. You can view their 90-minute rotation plan here and the accompanying Pilgrim's Passport (a sheet for student reflection on at each station) here. Alternatively, teachers may choose to dedicate one day to an individual station's theme, doing all the activities from that station in a whole class or small group setting throughout a single day. Station possibilities include art, cornhusk dolls, science, games, cooking, and household chores/trades. Examples of centers for each of these stations appear below and are also available as a downloadable document. The downloadable document is editable and includes needed materials for 72 participants (12 per station at one time). Pictures of these activities taken on September 16, 2009 at Green Valley High School as part of the Clark County School District Teaching American History Grant appear below. Place a tarp on the floor and place a large tub of water in the middle to pre-soak cornhusks. Here is a video of third graders in Ms. Graham's classroom at Staton Elementary School making cornhusk dolls. Use instructions from King, D. (1997). Colonial Days: Discover the Past with Fun Projects, Games, Activities, and Recipes (American Kids in History Series) . Wiley, John & Sons Inc., page 9. Use instructions from King, D. (1997). Colonial Days: Discover the Past with Fun Projects, Games, Activities, and Recipes (American Kids in History Series) . Wiley, John & Sons Inc., page 22. Use instructions from Carlson, L. (1997). Colonial Kids: An Activity Guide to Life in the New World (A Kid's Guide series). Chicago Review Press, page 16. Place melted paraffin into clean cans placed on beverage warmers (to keep wax melted). Have students wrap the end of an approximately 12" string to one end of a pencil or popsicle stick and wet the string to give it some weight. Have students dip their string into the wax and then immediately into the water. Repeat this process until the candle forms to a reasonable size. Use hands to massage the candle into the proper shape. Here is a video of third graders in Ms. Graham's classroom at Staton Elementary School making candles. Use instructions from King, D. (1997). Colonial Days: Discover the Past with Fun Projects, Games, Activities, and Recipes (American Kids in History Series) . Wiley, John & Sons Inc., page 39. Use instructions from King, D. (1997). Colonial Days: Discover the Past with Fun Projects, Games, Activities, and Recipes (American Kids in History Series) . Wiley, John & Sons Inc., page 94. Use instructions from Carlson, L. (1997). Colonial Kids: An Activity Guide to Life in the New World (A Kid's Guide series). Chicago Review Press, page 114. Use instructions from King, D. (1997). Colonial Days: Discover the Past with Fun Projects, Games, Activities, and Recipes (American Kids in History Series) . Wiley, John & Sons Inc., page 80. 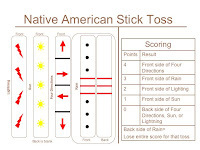 Materials: Box of toothpicks (for betting), popsicle sticks, fine-tip red, yellow, and black marking pens, instruction sheet (see JPG below or link to the PPT version). Use instructions from Broida, M. (2003). Projects About Colonial Life (Hands-on History) . Benchmark, page 40. Use instructions from Carlson, L. (1997). Colonial Kids: An Activity Guide to Life in the New World (A Kid's Guide series). Chicago Review Press, page 13. Use instructions from Carlson, L. (1997). Colonial Kids: An Activity Guide to Life in the New World (A Kid's Guide series). Chicago Review Press, page 28. Use instructions from Broida, M. (2003). Projects About Colonial Life (Hands-on History) . Benchmark, page 10. Here is a video of third graders in Ms. Graham's classroom at Staton Elementary School writing with quill pens. Use instructions from King, D. (1997). Colonial Days: Discover the Past with Fun Projects, Games, Activities, and Recipes (American Kids in History Series) . Wiley, John & Sons Inc., page 100. Use instructions from Carlson, L. (1997). Colonial Kids: An Activity Guide to Life in the New World (A Kid's Guide series). Chicago Review Press, page 99. Use instructions from Carlson, L. (1997). Colonial Kids: An Activity Guide to Life in the New World (A Kid's Guide series). Chicago Review Press, page 109. Use instructions from Carlson, L. (1997). Colonial Kids: An Activity Guide to Life in the New World (A Kid's Guide series). Chicago Review Press, page 65. Use instructions from Carlson, L. (1997). Colonial Kids: An Activity Guide to Life in the New World (A Kid's Guide series). Chicago Review Press, page 41. Here is a video of third graders in Ms. Graham's classroom at Staton Elementary School making butter. Use instructions from King, D. (1997). Colonial Days: Discover the Past with Fun Projects, Games, Activities, and Recipes (American Kids in History Series) . Wiley, John & Sons Inc., page 55. Below are some suggestions for assessing students during or after a unit on Colonial America. Have students fill a manila envelope with primary source collectibles (e.g., text, pictures, artifacts) or other items relating to a specific topic from the colonial era. Along with each artifact, have students attach a notecard explaining why they believe that artifact belongs in the "research bag." On the front of the envelope, have students glue a one-page typewritten report on the front of their envelope. Have students place primary source artifacts on the board as they learn about them. The board could be sectioned so there are places for information about travel, daily chores, food, etc. Students would label each artifact when adding it to the board. At the end, groups of students could use the board as a prompt for presenting oral reports. Have students create a giant crossword puzzle. Save one section of the board for clues to the answers, and the rest for the crossword puzzle. Start with COLONIALAMERICA in the middle, placing each letter in a one-inch square. Label the first square "1." In the clue section, add a section for "Across" and "Down." Under the "Across" section, write "1. The period of time between 1607 and 1783." Have students add to the puzzle by writing their own clues (be sure to keep an answer sheet!) and drawing one-inch squares for each of the letters in their answer. Page 1: Write "A Day in the Life of a Colonist" and glue on or draw a relevant picture. Tab: On the tabbed file inside the first pocket, have students write related vocabulary words. Use glue to add pictures to describe each word. Page 2 and 3: Create a table with the words "Clothes," "Education," and "Housing" on the y-axis and "Gentry," "Midding," and "Slaves" on the x-axis. As students learn about each theme for each social level, have them fill-in the boxes. They may add pictures to support what they write. Page 4: Have students write "Tools" along the side of the page and find tools from the era. They should cut-out and paste each tool on the page and label it with its name and one use. [Note: Students can learn about tools by clicking on "Trades." Page 5: Create a T-table with "Master" on one side and "Apprentice" on the other. Have students contrast the two roles. Second Pocket: Add one or more related primary sources (e.g., a document used to indenture one individual to another). Page 6: Write "My Life" at the top and prepare 3-4 short biographies of different colonists, including adding their pictures. The design for the booklet described above was introduced by Tab Broyles during her presentation at the National Council for Social Studies Annual Conference in 2008. Below are pictures of the resulting booklet made during her presentation. I recommend the following simulations relating to Colonial America. Colonial Williamsburg's Teacher Site: In addition to those cited below, Dale Van Eck of Colonial Williamsburg created a nice overview of history-related online games he presents in the form of a handout. Tour the Town: This site allows you to move virtually throughout Colonial Williamsburg. Upon clicking on a given map feature (e.g., the Governor's Palace), it provides a history of the feature. A Day in the Life: This site is based on the "A Day in the Life" video series and links to a variety of activities (e.g., "Take the Betsy Ross Challenge"). The Kid's Zone: Through games, students can learn to identify colonial tools (Co-Operation, Tool Trouble), processes (Brickmaker Build-Up, Pardon or Pillory), and clothing styles (Heads Up for the Colonists, 18th Century Paper Doll Game). The Jamestown Online Adventure: This quick online simulation allows students to make decisions relating to the trek toward Jamestown. At the end, students compare their answers to those of the colonists. Memorial Hall Museum Online—American Centuries: This rich site includes a collection of colonial era artifacts as well as simulations for students to experience. For example, students can "dress" a person in colonial garb. Tom Snyder's Decisions Decisions: I recommend Colonization. Though it does not relate to Colonial America, it assists students in understanding some of the complications that emerge when colonizing new locales. Note that UNLV's Curriculum Materials Library has the Decisions Decisions series available for check-out by CCSD teachers. Virtual Jamestown: This site includes numerous interactives showing early Jamestown with particular attention given to Native/settler interactions. A good place to start is to look at the "John Smith's Voyages of Exploration." Innovative Teaching Newsletter: Colonies: This edition of Innovative Teaching focuses on the American colonies, providing a plethora of related educator-friendly websites. One recommended webquest is "You Be the Historian."